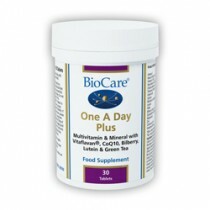 Quality health products can be hard to find, our range of Biocare products can be the solution to enhance your health. This is where we come in, as our company provides some of the highest quality multi nutrient products available to consumers at the very best prices. So whether you need BioCare Adult Multivitamins or BioCare One a Day Vitamins and Minerals you can be sure we have just what you need in our product range.